Polish manufactured with Scandinavian tradition. 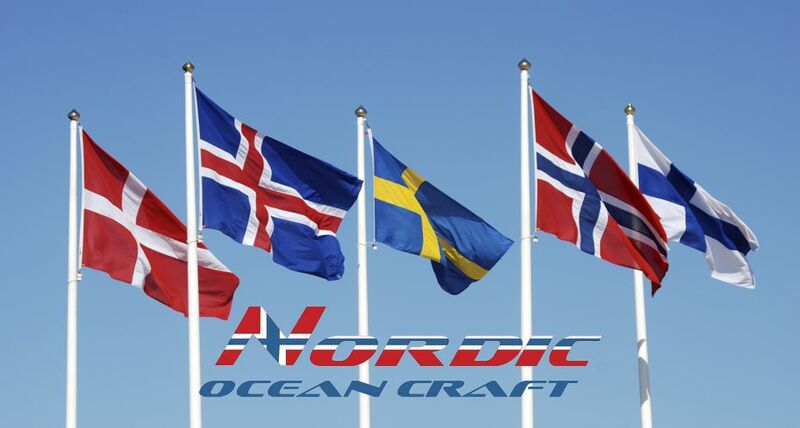 Nordic Ocean Craft, high class luxury motor boat producer since 2002, highly recognizable in the Scandinavian marketplace and also in many other European markets. Initially boat molds from the NOR-DAN shipyard where purchased and utilized, a company with over 25 years of tradition and experience at the time. Our boats have been uniquely designed in order to meet the highest requirements of North Europe customers and ensure the sense of safety in difficult conditions of the North Sea. Hulls of our motor yachts were designed by one of the most famous Norwegian boat constructors- Mr. Geir Arnestad. Nowadays with an effective marketing program, our boats can be seen from the farthest fjords of Norway up to the Mediterranean sea. Our offer of 12 different models in various sizes (range from 14ft to 38ft long) meets perfectly the needs of each and every customer. Nordic Ocean Craft boats are designed and built according to the very highest of Norwegian standards. These highly evolved, uniquely designed boats were valued by hundreds of clients in the Scandinavian market. Our mission is to provide customers comfort, safety and enjoyment, without compromise. The skillful combination of Norwegian boating tradition, modern design spirit, care and attention to the very smallest of details ensures each Nordic Ocean Craft vessel is one of uniqueness and quality. Each element of our boats is made by our demanding craftsmen on site, tailor-made and fine tuned to the needs of each of our clients. Reliability and the accuracy of our craftsmen manufacturing, makes ours boats some of the safest on the market. to get away from reality – our boat are tailor-made and fine tuned to the needs of each and every customer. This allows you to leave your problems behind, clear your head, and enjoy the breeze.